Wash vegetables with organic soap to sustain your nutrition and long-term health. Why Wash Vegetables With Organic Soap? On a daily basis, the news talks about how vegetables are sprayed with pesticides and sold at supermarkets. Ouch! Who wants to eat vegetables covered in chemical spit? Pesticides are used with the full intention of killing anything that can harm the vegetable form growing fully. Sounds farmer savvy? The truth is, pesticides kill weeds and bugs, and it can also kill you. Short term effects of pesticides include headache, upset stomach and long term effects can be as grave as endocrine disorders and cancer. We recommend you wash all your vegetables with organic soap to prevent exposure to chemicals. 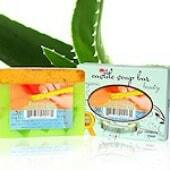 Organic soap guarantees minimal ingredients, natural anti-bacterial properties and no irritants. Regular soap may contain carcinogenic chemicals such as parabens and artificial scents which will rub onto your fruits and vegetables. Option 1: Wash vegetables with organic soap and lemon. Step 1: Squeeze 3 natural lemons into an empty container. Step 2: Pour your choice of organic soap over the freshly squeezed lemon juice. Step 3: With a mixing spoon, blend the organic soap and lemon juice. Step 4: Pour mix into an empty soap dispenser. Step 5: Spray directly at unwashed vegetables and rinse with cold water. Step 1: Wet vegetables with room-temperature or cold water. Step 2: Pour small drops of liquid diluted Castile soap over the vegetables. Step 3: Gently rub diluted Castile soap around the vegetables. Step 4: Rinse vegetables with cold water. 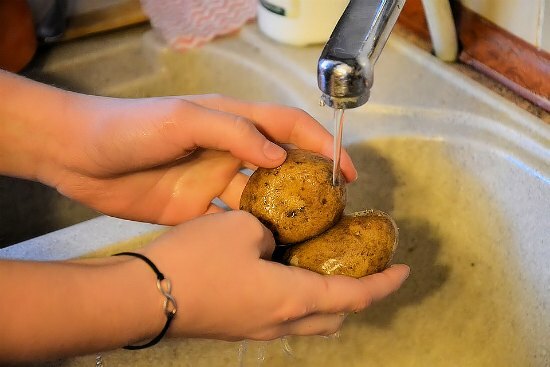 These are low-cost and effective ways to wash vegetables with organic soap. Start today! Take a few minutes of your time to wash your vegetables individually or in bulk and save them in fridge. Please visit castilesoap.com for Earth-friendly and organic soaps.